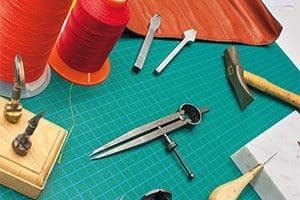 Manufacture Jean Rousseau creations draw on expertise that has been recognised for over sixty years by the most prestigious brands. Each article is meticulously crafted to guarantee exceptional quality. A skilled and enthusiastic team creates items that meet the most exacting standards every day. Our artisans continue to produce every single watch strap, belt, and fine leather piece by hand in keeping with the savoir-faire passed down from generation to generation – for example the “coupé sellier” (saddle cut). 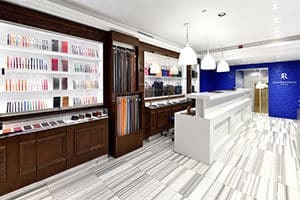 Manufacture Jean Rousseau is one of the rare luxury leather goods producers to possess its own state-of-the-art equipment and processing expertise, where the selection and preparation of hides is carried out with the utmost care. 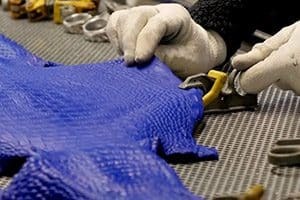 All types of precious skins are worked there, including lizard, python, ostrich, shark and, in particular, Louisiana alligator and shagreen. The skins are treated and cut with rigorous attention to detail to guarantee beautifully made objects fashioned in a way that respects the natural characteristics of the material. The preparation of raw hides is an essential stage of production at Manufacture Jean Rousseau, whose acknowledged expertise enables it to offer a choice of over 600 colours. 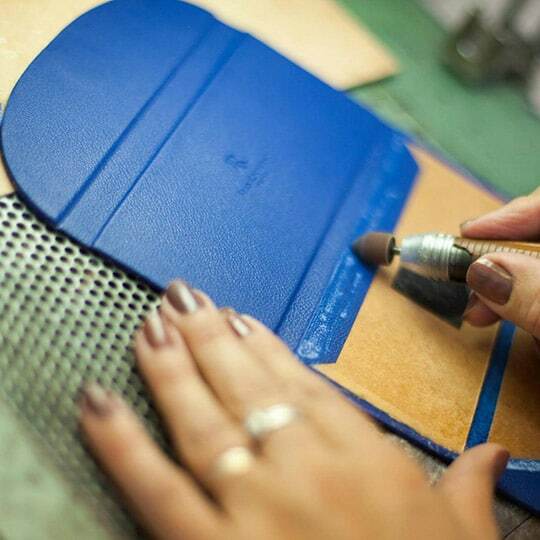 Skins are solid dyed, before a pigment-based surface treatment is applied to highlight the beauty of the material. Working on skins involves an alchemy that evolves constantly thanks to the innovations introduced by the Manufacture. 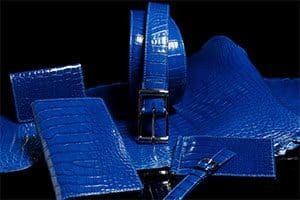 Manufacture Jean Rousseau adheres to a stringent ethical policy in its use of skins. At an international level, it is committed to safeguarding endangered species by strictly observing the terms set out by CITES (Washington Convention) and the REACH regulations. 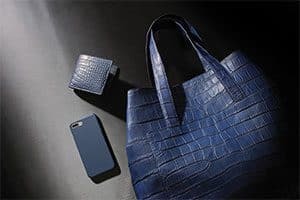 In addition, the company applies a rigorous internal ethical code, refusing to use horsehide, elephant hide and sealskin, for instance, as well as other wild or domestic skins that are sadly often still used by other luxury manufacturers. The hides and skins used by Maison Jean Rousseau, including alligator, are sourced from breeding farms approved by the federal agency US Fish & Wildlife Service. All the brand’s partners undergo regular audits to ensure their continuous adherence to the Manufacture’s ethical code and values. 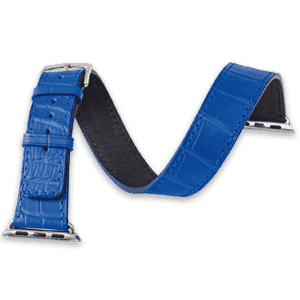 In 2014, in order to satisfy clients concerned with animal welfare and shun products of animal origin, Maison Jean Rousseau has developed a collection of watch straps and small leather goods “100% Non-Leather“, made from textiles, rubber, cork or wood. 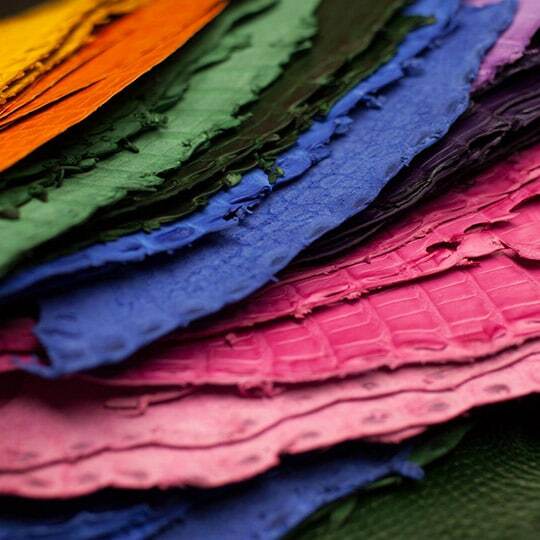 As gentle as a caress, Maison Jean Rousseau skilfully applies artful techniques to our exquisite leathers, skin to skin, creating pieces of unrivalled beauty. The sumptuousness of velvety finishes and warmth of materials, fashioned by our exceptionally-skilled artisans, result in the creation of very personal objects.